Finished Six Days in Leningrand, the trip Paullina Simons took back to Russia, the first time since she left with her family for America when she was 10 years old. This book is EVERYTHING that I could have ever wanted. From before the trip to each day she spent in Leningrand, it is vivid, it is charming, it is mesmerising, it is heart warming; but the overwhelming feeling I have is that I shouldn’t be reading it. It feels so private. It feels like this is Paullina laying out her heart and her soul for us to see. 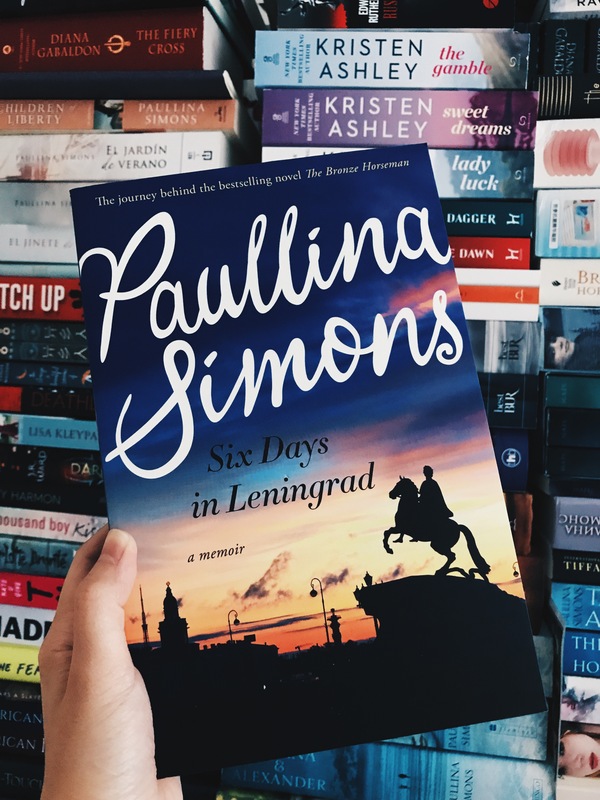 Her struggle, her saddens, her longing, HER SOUL, you can see them in every world, in her six days spent in Leningrand.You can also see the details that inspired her to write The Bronze Horseman. I can totally relate to her in so many levels. When you visit your childhood home or dare to open up the memories that store so safely inside your heart, you want it to be the same, you want everything to be still. And then you remember they are not, we are looking at them now through adult eyes. Why are they so small? Why are they different than what I remember? Because time doesn’t stand still… in our heart we are still that child, living in our memory and dreams…. This is a precious and special gift Paullina has given us. Thank you for taking us with you through your journey. It really is special.